The broad working range and reliability has made 40AO the preferred prepolarized microphone for coupler and ear simulator setups and is the natural supplement or replacement of existing solutions. The 40AO is especially suited for audiometer calibration when using a sound level meter / analyzer without a 200 V polarization feature. It is used for production line testing in coupler setups for test of hearing aids, earphones, headphones, and headsets. The KEMAR Manikin can also be configured with 40AO for wide-band binaural sound quality recordings. Other coupler systems can be configured with the 40AO and a CCP preamplifier on request. The 40AO is a very versatile microphone when connected to the RA0067 Transmitter Adapter for ½" Microphones. The 40AO becomes a high-impedance sound source when the RA0067 takes a calibration signal directly from the signal generator and makes the microphone behave like an electrostatic loudspeaker. In a coupler, this gives a frequency response that is as good as when the 40AO behaves like a microphone. 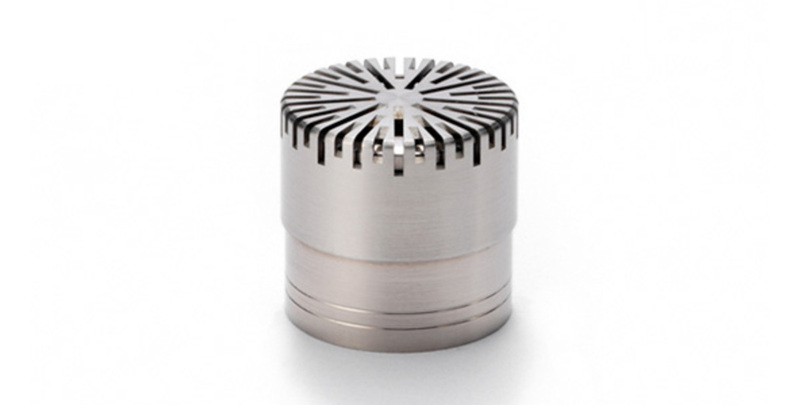 A front-vented versions is available, the 40AO-FV 1/2" Prepolarized Pressure Front Vented Microphone. The 40AO requires a standardized ½" or ¼" CCP preamplifier and an input module that supports this technology with a BNC, SMB, or Microdot connector. If you accidentally damage the diaphragm on a GRAS microphone, we can—in most cases—replace it at a very reasonable cost and with a short turn-around time. This not only protects your investment, but also pleases your quality assurance department because you don't have to worry about new serial numbers, etc. 1/2" Prepolarized Pressure Microphone, Front Vented, High Level. This is a high level version with front venting.